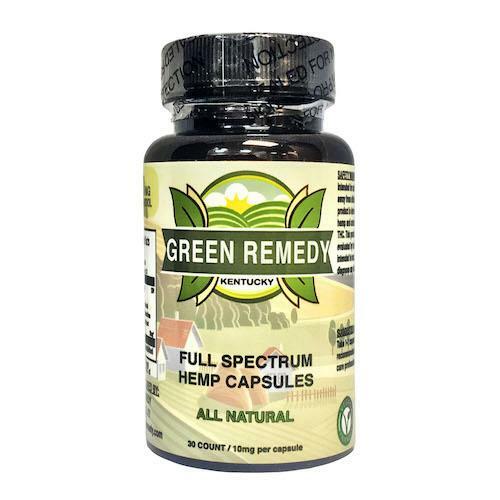 When Green Remedy says Full Spectrum they mean FULL SPECTRUM. Not only does each capsule contain 10mg of CBD (Cannabidiol) but they also contain non-decarboxylated CBDA, CBC, CBG, CBGA, & CBDV. The Cannabidiol is blended with 100% natural hemp seed oil. 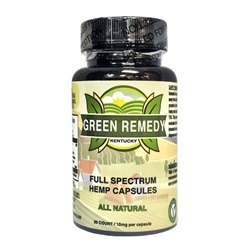 Green Remedy products are GMO free and vegan friendly. The CBD is extracted using Supercritical co2, the best and cleanest process to extract CBD from industrial hemp. Hemp seed oil is high in nutritional value because of its 3:1 ratio of omega-6 to omega-3 essential fatty acids.